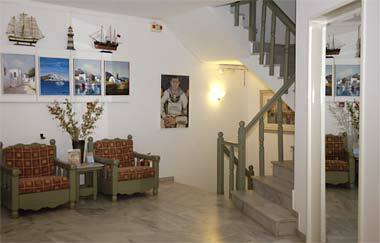 Bed & Breakfast accommodation in Parikia, Paros Island at Aegeon Hotel. 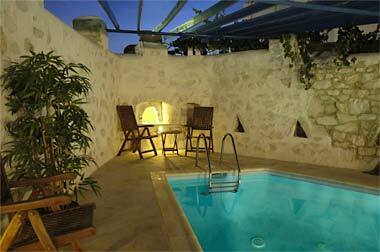 Conveniently located at the Peripheral Road of the town, Aegeon Hotel is a lodging complex comprised of 3 different buildings, with in-between yard & a pool. 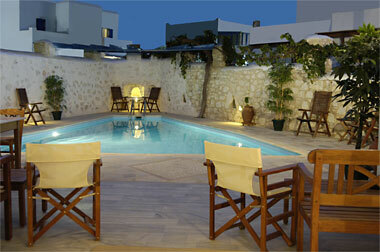 It offers rooms for 1-3 persons & family rooms for 4 guests. 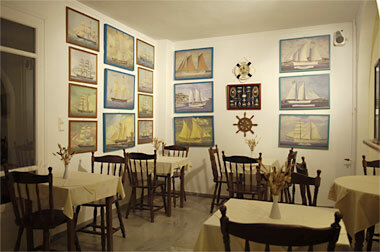 The hotel is about 10 minutes on foot away from the port, the old town, the seafront road, the beach & the clubbing area. 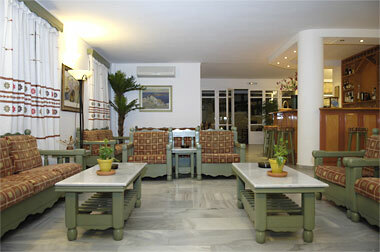 With affordable prices and a rich buffet breakfast, Aegeon is a hotel to suit every taste. 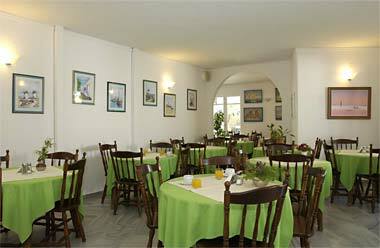 Aegeon Hotel is located at the Peripheral Road of Parikia where you may find all kinds of shops. 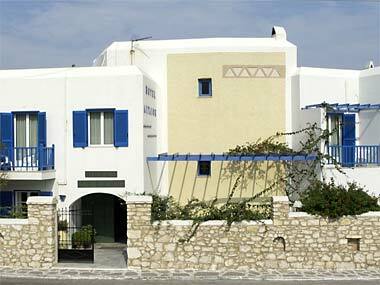 There is a bus stop next to the entrance with regular schedules that take you to the south parts of Paros. Except of the main beach of Parikia (about 7min. 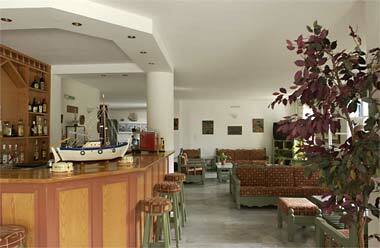 on foot) you can quickly reach Delfini & Parasporos Beaches with funky beach bars. 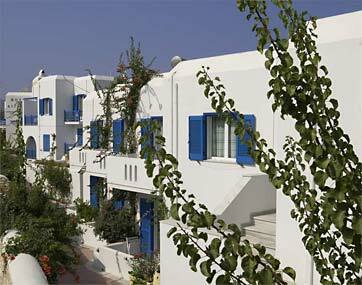 If you like kite surf & other water sports, hourly buses take you to Pounda from where you can also take a small boat to Antiparos Island on the other side. 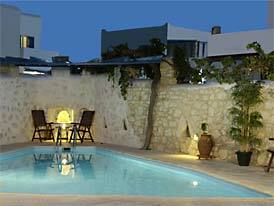 The old town, the port, the sea front of Parikia and the clubbing area are 5-10min. on foot.